Come tour this great home! A Jewel In The Benson Area! Built In 1996, Enjoy Modern Living Combined With Charm Of Benson's Tree-Lined Streets. Open Floor Plan, Warm Colors, Cathedral & Trey Ceilings, Plant Shelves, Skylite, New Ceramic Tile, New Counters, New Cabinets, New Carpet Fresh Paint, Built In Entertainment Center & Computer Area On Ll, Plantation Blinds, Xl Fenced Double Lot With Gorgeous Landscaping & Patio. Kit Appliances + Washer/Dryer Stay. 5 Year Old Roof, One Year Home Warranty Plan. 1/2 Blk From St. Bernard's Catholic School. 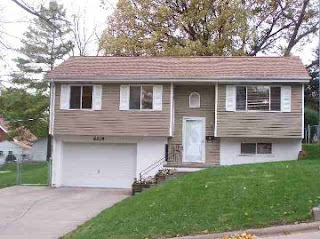 Visit www.HuskerHomeFinder.com for more information or call Lisa Sleddens direct @ 402/210-6357.